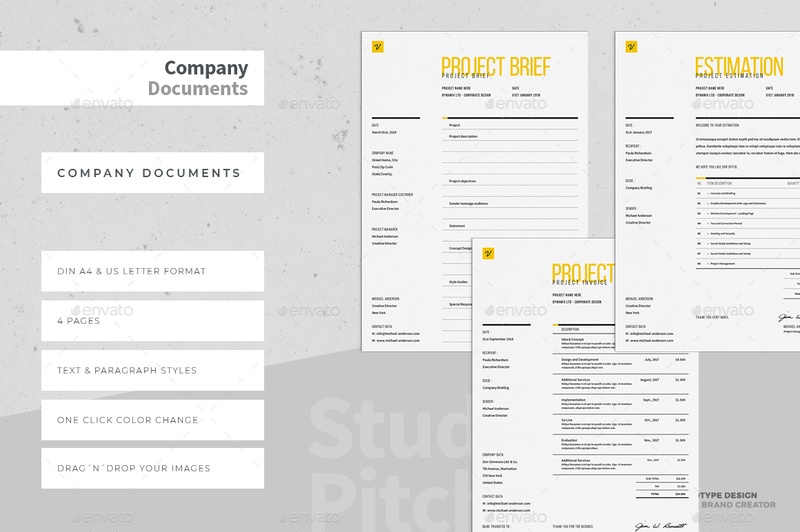 Proposal Document Templates containing of Brief, Estimation (Quotation) and Invoice Templates in DIN A4 and US Letter size. 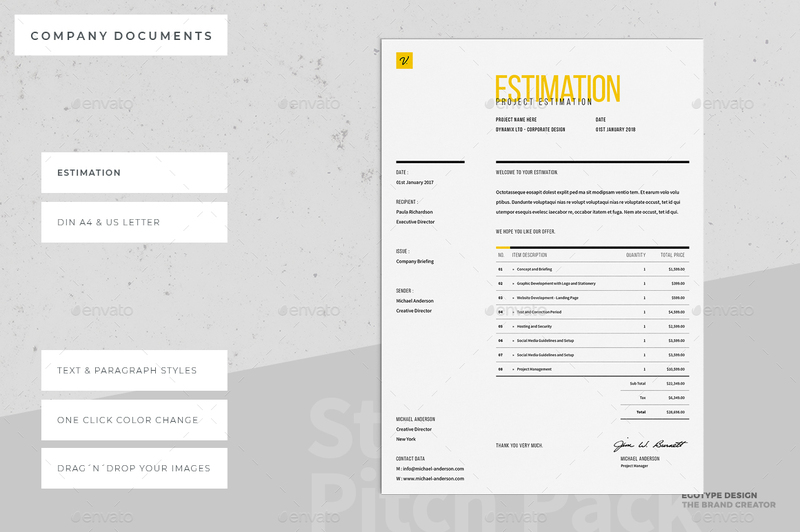 Get your results and customers in a smart, fast and easy way with this proposal documents template pack. Two dimensions A4 & Letter, ready to use files and super organized structure will allow you to create your company documents in minutes. 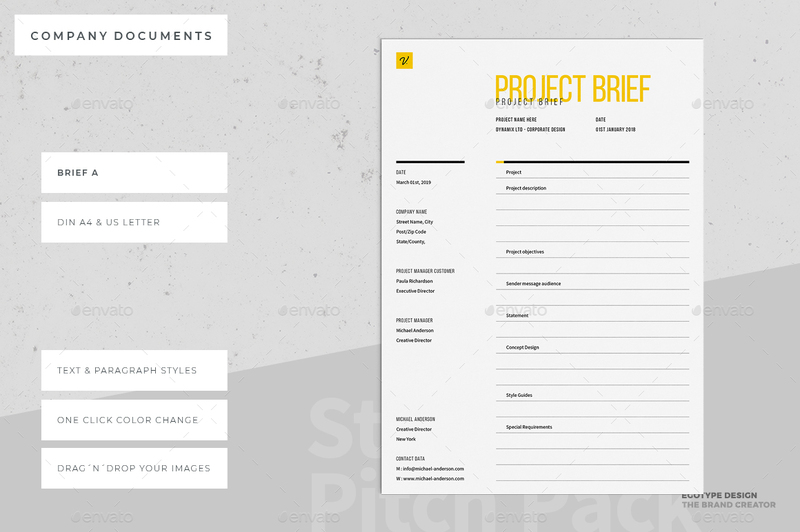 Strong and persuasive concept design templates with attractive, professional appearance is what you need to present the process used to implement the project and what steps you will take to manage the project. 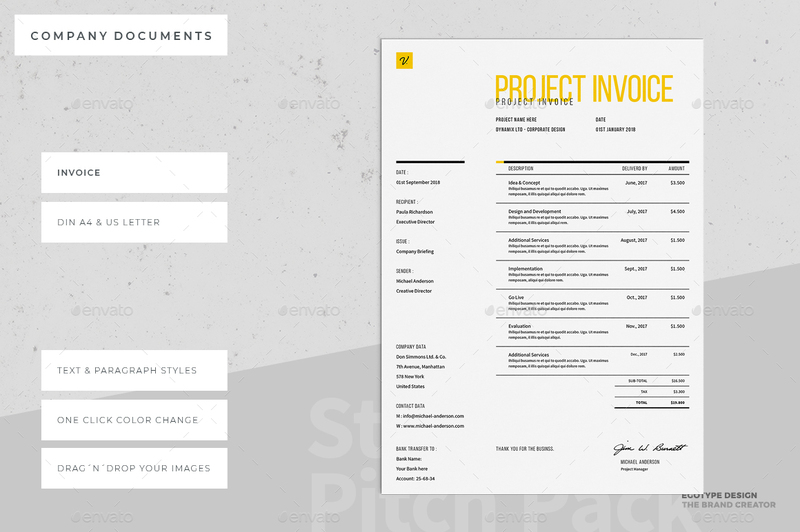 The invoice, design brief and estimation package includes files for CS4 to CC2019 version of InDesign. All the elements in the design such as text, colours, styles and images can be easily edited. The photos used in the preview are not included). 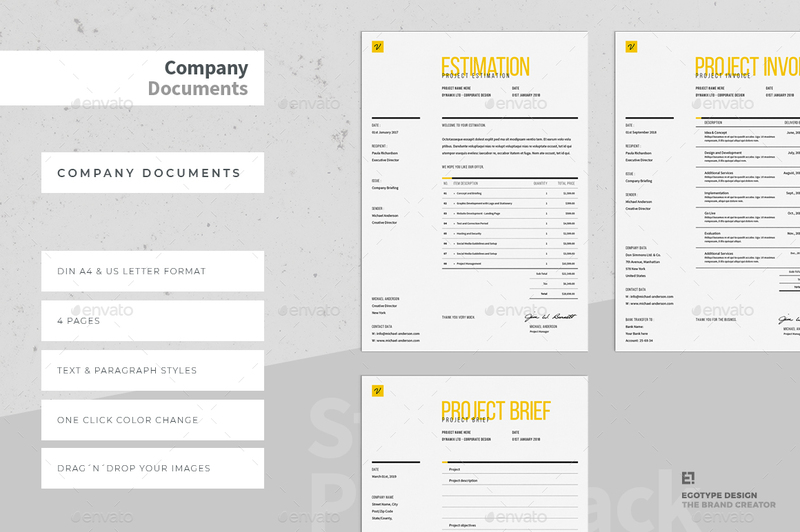 Have fun with this cool and smooth Brief – Estimation – Invoice Set Templates and be creative with your content. If help is needed feel free to contact me.